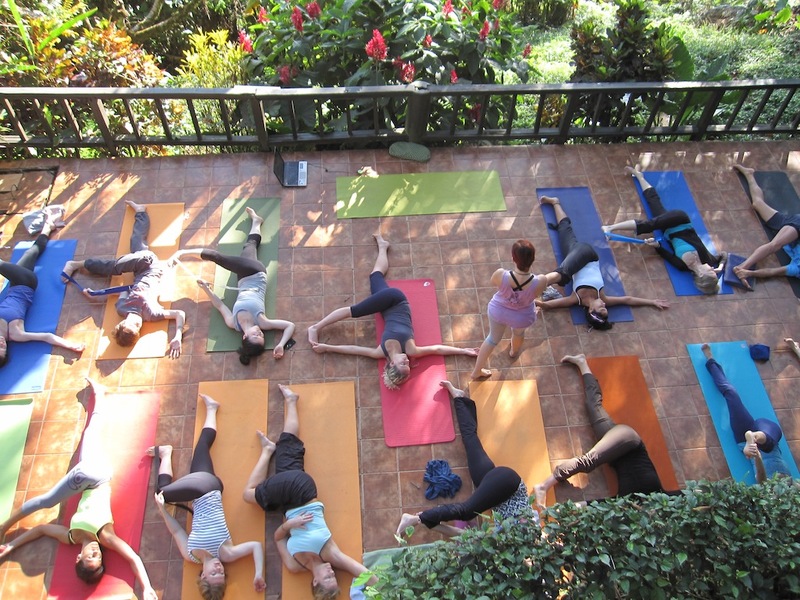 Samasati Nature Retreat is located 30 miles South of Puerto Limón on the Caribbean coast. Getting to Samasati is easy and the drive which crosses the Braulio Carrillo National Park, the largest protected area in Costa Rica is absolutely breathtaking. Siatami is a BriBri indian term, formed by the combination of two words, ” Sia ” which means sacred, prediction or healing stones, and Tami, which means “owner”. Therefore Siatami was within the Bri Bri social structure, the name given to the person in charge of keeping the sacred medical stones. Built with precious woods exquisitely finished, the nine Caribbean style Bungalows are nestled into lovely tropical gardens. 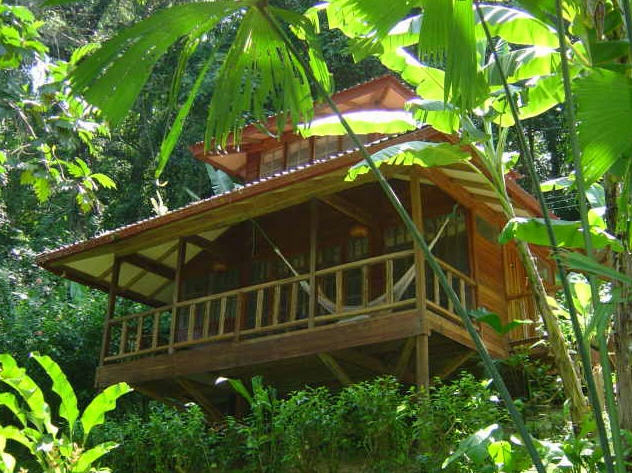 All bungalows have private bathrooms with hot water and spacious verandas overlooking the jungle and the sea. Some have lofts, with the bed upstairs and living room downstairs and capable of accommodating three to four guests. Beds have high quality single, queen or king size mattresses. 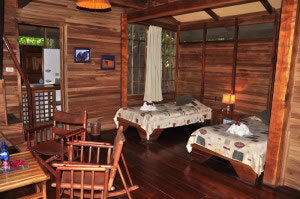 Two fully furnished private houses offer the ultimate in Samasati Nature Retreat accommodations. Each are a unique and original design and occupy special locations, close enough to the main facilities but wonderfully secluded. 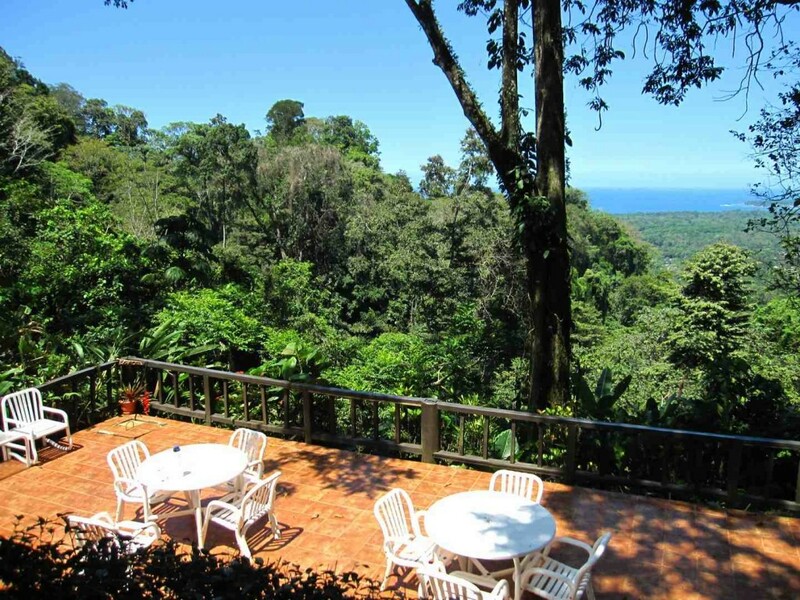 All are blessed with breathtaking views of the jungle and the sea. These houses are available for monthly rentals. Food is vegetarian and meals at Samasati are served buffet style. Fish is always available and occasionally included in the menu. They use organic locally grown products as much as possible. Fruits comes from Samasati’s land. Chocolate comes fron nearby cacao plantations.You will be amazed of how tasty and varied vegetarian food can be!Please inform us of any intolerance such as gluten, soya or dairy at least 2 week before arrival to insure availability of ingredients. After and exhilarating hike into the rain forest relax with a soothing massage and exotic spa treatment. Indulge in the centuries of wisdom and tradition that cultivate a sense of balance. Their massages will make your body forget the sensation of stress. Their resident yoga teacher, Courtney Bell is a certified yoga instructor, licensed massage therapist, and has a degree in Anthropology. She began practicing yoga ten years ago and has been teaching for four years. She has roots in the Iyengar approach, yoga sphilosophy, and has most recently trained with Shiva Rea in the Vinyasa Krama tradition. She accompanies her yoga practice with fire spinning and kirtans (devotional songs). Transfers from San Jose area hotels or San Jose’s Juan Santamaría International Airport to hotels in the Puerto Viejo area are $180.00 each way, for a minivan with a capacity of up to 9 passengers. Approximate time from San José to the Arenal area is approx 2 hours and 45 minutes. Transfer from Juan Santamaría International Airport to any hotel in San José $35, including airport assistance, for a minivan with a capacity of up to 9 passengers.